"This is the first edition of the ITER Newsline, a medium to inform the ITER community about the status of the ITER project. The Newsline will report on milestone achievements, personnel announcements, conferences, meetings and upcoming events, and will also be a platform for the Domestic Agencies. As we all know, communication and public information play a vital role in a project like ITER. I am convinced, and I know that I do not only speak for myself, that throughout its construction and its operation the significance of this project needs to be well understood by the public, and all stakeholders need to be well informed. 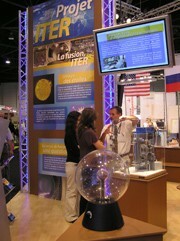 The ITER Newsline will be published on the web biweekly. In addition, an ITER Newsletter will be published bimonthly, which will provide background news and interviews." The Management of the ITER Organization is building up: on 29 September, Ms Pascale Amenc-Antoni was officially nominated Assistant Deputy Director General (ADDG) for Administration. Mr. David Campbell has similarly been appointed Assistant Deputy Director General for Fusion Science and Technology. Mrs Pascale Amenc-Antoni was formerly Director of the CEA/Cadarache Site and from October 2005 ad-interim Director of the Agence ITER France. 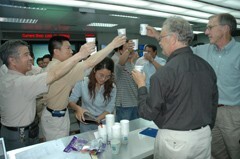 Dr. David Campbell has been Principal Scientific Officer of the European Commission for the last ten years. Until now he had been seconded to the EFDA Close Support Unit managing the EU activities in support of ITER diagnostics, heating and current drive, and control systems. 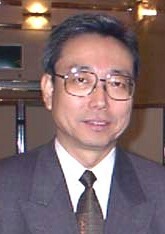 Furthermore he coordinated the EU Physics R&D program for ITER. "I am confident that their extensive expertise will strengthen our capabilities," the ITER Director-General Nominee, Kaname Ikeda, said in an official memorandum introducing the ADDGs. Planning a project like ITER involving seven Parties and the International Organization is a daunting task. As a result, an early decision was made to facilitate the process by using a common scheduling platform, Primavera Project Management software. Planning & Scheduling Working Group members from all the Participant Teams and their scheduling specialists were invited to participate in a 3-day training workshop sponsored by ITER and presented by PrimaFrance. All attendees were given intense tuition on the use of the software and all its functionalities. The course took place on 3-5 October, just before the 1st Planning & Scheduling Working Group Meeting. Now that the ITER international negotiations are being finalised, Europe is preparing for the establishment of its Domestic Agency to provide its contribution to ITER: 'Fusion for Energy'. This new organisation will also provide Europe's contribution to the Broader Approach projects agreed with Japan for the rapid realisation of fusion energy and, in the longer term, support a programme of research and development activities to prepare for the construction of prototype fusion reactors. 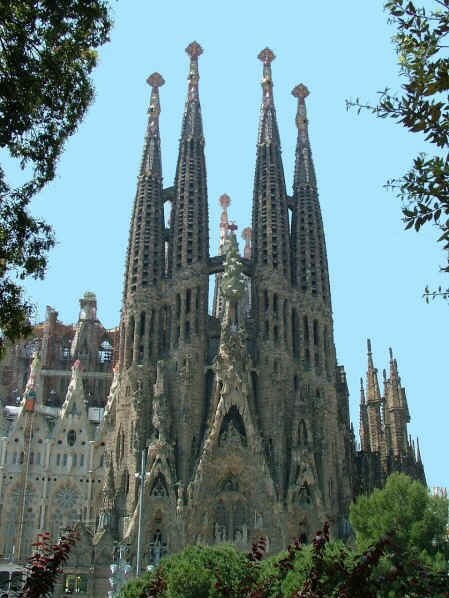 Following a decision of the European Council of November 2003, the 'Fusion for Energy' headquarters will be located in Spain (Barcelona). It should be fully operational by spring 2007. This year's Symposium on Fusion Technology (SOFT) was held in the Palace of Culture and Science in Warsaw, Poland, from 11-15th September. 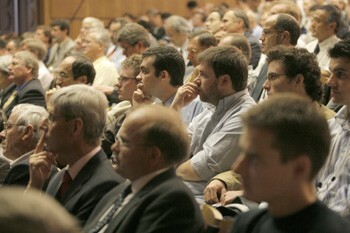 With over 660 participants, it is the largest fusion conference in Europe and is held every two years. An R&D and industrial exhibition with 26 participant organisations and companies was part of the conference. Norbert Holtkamp, ITER Principal Deputy Director General Nominee, and Project Construction Leader, gave an overview of the ITER project. He underlined that given its size and cost, and the involvement of virtually all of the most developed countries representing over half of today's world population, ITER will become a new reference point for big science projects. Mr. Holtkamp emphasized his commitment to implement the construction of ITER on schedule and on budget. "The SOFT conference was my first exposure to the international fusion community and associated industries. It certainly was an opportunity to learn about the status of fusion in general and also about open issues with ITER. At the moment, we are clearly in a phase of transition from a research project to a construction project." A group of more than 100 scientists and engineers have set up the Australian ITER Forum, which aims to develop the case for an Australian role in ITER, both by participation and by the formation of an International Centre of Research Excellence in Fusion Related Research. With Federal Government support, the Australian forum has scheduled a workshop for October 12-13 this year called "Towards an Australian involvement in ITER", which attracted 80 participants. The workshop highlighted the enthusiasm within the Australian fusion community for establishing closer links to the ITER project and has provided the members of the Forum with a good basis for the identification of possible roles for Australia in relation to ITER. 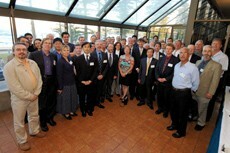 A 12-member team of scientists and engineers has been chosen to manage the United States' contribution to ITER. The Team will be headed by Dr. Ned Sauthoff, who had a distinguished career at Princeton Plasma Physics Laboratory, including a period as US ITER's planning officer for 18 months before becoming US ITER Project Manager in February. 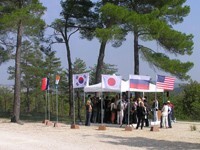 As US ITER Project Manager, Sauthoff will direct all non-governmental aspects of US involvement with the ITER project. "This team will help chart the nation´s course for one of the largest energy-science projects in history," Sauthoff said. The names of the team members and their background are available here. The EAST superconducting tokamak, based at the Institute of Plasma Physics of the Chinese Academy of Sciences in Hefei, China, achieved its first plasma discharge on September 26th. The plasma current reached 220 kA, and the maximum pulse length was 2.7 seconds. EAST, which is the most advanced fusion research device in China, is the largest superconducting tokamak equipped with a divertor. It will be used to study steady-state plasma operation issues. For more information, see .